After the events of Sarah Bailey’s debut The Dark Lake left Detective Sergeant Gemma Woodstock unable to be the partner, mother and human that everyone in the regional town of Smithson needed her to be, a transfer to Melbourne seemed like the only option. There, in the anonymity of the city, Gemma can hide in plain sight. The white noise of the street outside her CBD apartment and the men who do not know her entire history are enough to drown out the insistent murmur of loss, as she misses her lifelong home and her beloved son. When a homeless man is found murdered in a Carlton park, Gemma makes a promise that she won’t see his death neglected, but the very next day a violent murder in the middle of the city sees the entire world’s attention focused on her squad. During the filming of a scene in zombie film Death is Alive – a scene in which everyone is armed – the lead actor is stabbed to death. His family, girlfriend and best friend are all grieving, but none of them seem to be quite as honest as Gemma would like. Even taking into account his agent, dramatic co-stars, unpleasant director and an extensive and obsessed fanbase, there is a lot of suspicion, a barrage of impatient media, and senior police staff who want the case solved – now. Gemma Woodstock is in many ways an unsympathetic character – she cannot help but make terrible life choices, even as she strives not to. Removing her unreliable self from her son’s life is both damaging and helpful, and the release she gets from a series of anonymous men is a balm to her soul, yet it’s still self-destructive, especially when she tentatively strikes up a new relationship with a lawyer who is more interested in her than she is used to. Gemma’s prickliness matches perfectly with a city alive on the page – one both recognisable and horrifying to local Readings customers who traipse the streets where blood is spattered in these pages. This is a gritty metropolitan police procedural that shows Bailey is only getting better. When four hotshot Wall Street finance workers are called to a Friday night meeting in a new office, they’re frustrated that this meeting is taking them away from the gilt-edged lives they enjoy on their weekends. They’re even more annoyed when they find out the meeting is an escape room challenge – and now, they’re a little worried, too. After all, their firm used to be flush with cash, but now things are looking a little less peachy – deals lost, purse strings tightened. And when their trip to the escape room is stalled when the elevator stops, they realise, finally – the elevator is the escape room. And when the message flashes: ‘Your goal is simple. Get out alive’, they still think that their job security is their biggest concern. But a workplace that full of wealth never gets so successful without a few secrets. 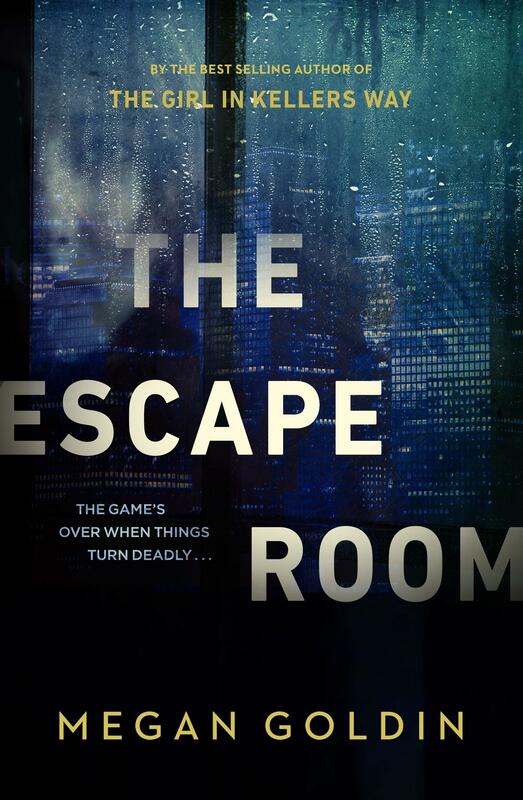 And in this escape room, not everyone will get out alive after all. Sometimes you’re in the mood for something a little more freestyle, a little more scattered all over the place – like maybe you’ve taken a little too much cocaine? And so it goes in Aidan Truhen’s The Price You Pay, though Aidan Truhen is not his real name. But besides all that, The Price You Pay follows Jack Price as he wakes up one morning feeling pretty great, but then it turns out that the woman in the apartment below him has been shot and that’s not a great situation, really. Because if Jack is a dealer then maybe it was meant for him instead of Didi, even though she was a terrible old woman and he didn’t like her. He’s going to investigate anyway, because a man like him has quite a lot of connections and, well, maybe a terrorist organisation will take a contract out on him, but Jack isn’t the kind of person who sits still on that and revenge is one of his best skills, after all. So strap in and hang on to these pages because it’s gonna get crazy out there. Sometimes I fear I use the word ‘delight’ too frequently in this column, but there is sometimes just too much deliciousness along the crime spectrum for me to use any other word. In Tessa Lunney’s Parisian adventure, we meet Kiki Button: ex-army nurse, ex-Australienne, and ex-debutante. She has delivered herself across the seas to avoid her parents’ desperate attempts to marry her off. Independence and freedom from the ravages of wartime memories and the real world are what she craves, and with a job as a society columnist, it’s what she immediately achieves: evenings in the French capital, with the famous and the infamous and endless champagne, wine, and lovers. When she meets one Pablo Picasso, he has a proposition: Kiki must model for him, and then find a missing painting. Gossip can take a back seat to this serious business and when her old spymaster finds her, serious business is not far away. This is absolutely divine: sensual, adventurous, naughty and wholly entertaining. Being a young, unpaid intern in Turkey’s US embassy is difficult enough for the linguistically skilled Penny Kessler, but there is no way that her work as a translator has prepared her for what happens at the office’s Fourth of July party: an explosion that tears through the building and kills hundreds of her colleagues. As one of the survivors, the people she works for believe what she has witnessed is important – so important that things start to seem very wrong. Still recovering from the blast that knocked her straight into hospital, Penny needs to figure out who she can trust, whether her closest friend – now missing – is a good guy or a bad guy, and whether she has the skills to save herself from everyone who wants her dead. Even if it’s her own country. When a Korean-American student and her boyfriend disappear from a beach in South Korea, the only assumption is that it’s a drowning. But the student’s twin sister, Jenna, knows in her heart that her sister is still alive – and suspects that she’s in North Korea. When, years later, university professor Jenna is recruited into the CIA and sent to North Korea, she knows this is her chance to find out that truth. In that same fraught country, a top-ranking official, adopted as a child, fears that the promotion he wants to receive will be prevented by the heritage he had no say in – but in a country where crimes pass through generations, his fears are hardly unfounded. And on a North Korean penal farm, a woman finds a US aid balloon stocked with items that can be bargained to give her a better future – if she’s not caught. This epic, tense thriller is a riveting read about a country that in the real world may just be on the brink of a new future. Sadie Banner had long been afraid of the Tall Man. He lives in the woods and he comes in the night and he takes you away; everyone knows this. And shortly after Sadie’s daughter Amber is born, Sadie tells Amber’s father that she is cursed, and then she disappears. Some think it’s murder. But sixteen years later, Sadie returns. And two years after that, a documentary crew follows Amber Banner as she revels in the court case that’s finally finished – the one that was accusing her of murder. But who did the young Amber Banner kill? And is the Tall Man just a myth, or is he worth naming a book after? Having loved Agatha Christie books since I was a teenager, I couldn’t help but be hesitant about Andrew Wilson’s books reimagining Christie’s days as a woman solving crimes while she also writes her famous novels. As her next book’s deadline approaches, Christie boards a ship to Tenerife, ostensibly for relaxation and some vigorous healthy air, but also to assist in the matter of the death of a man found in a cave, partially mummified and entirely drained of blood. On the trip, Christie takes a walk to help with her seasickness and witnesses a woman jumping to her death. A suicide, a heartbreaking one – but is it connected to the other crime after all? And who are the people who want her help? While it can be hard to read any word about my beloved favourite being anything but perfect (socially awkward? heartbroken? SEASICK!? ), Wilson’s book is a compelling and mysterious tale. Alex Reeve, The House on Half Moon Street, about a transgender coroner’s assistant and chess player trying to solve a murder set in the Victorian era; a reprint of Ned Kelly Award winner Dave Warner’s City of Light; a new Isabel Dalhousie in Alexander McCall Smith’s The Quiet Side of Passion; get your double shot of books with ‘dead’ in the title with Nicci French’s Day of the Dead and Peter James’s Dead if You Don’t; another book set in this month’s popular location of the 1920s, this time in India, with Abir Mukherjee’s Smoke and Ashes; a new James Bond thriller in Anthony Horowitz’s Forever and a Day; Martin Walker’s A Taste for Vengeance; Australian forensic psychiatrist Donald Grant’s true crime compilation Killer Instinct; Sanjida Kay’s My Mother’s Secret; James Swallow’s Ghost; Stuart MacBride, The Blood Road and more!